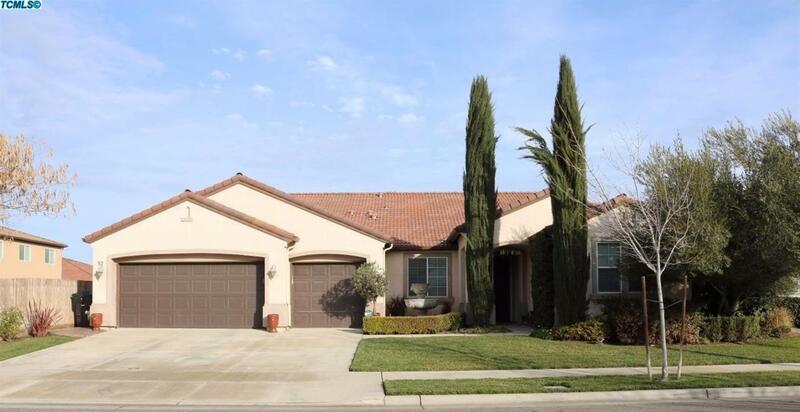 Beautiful 4 Bed/3.5 Bath w/Tile Roof & Casita w/Full Bath! This home features living room w/fireplace, family room, dining area, breakfast bar & nook, pantry, large master suite w/fireplace, sitting room, his & hers walk-in closets, soaker tub, vanity & option for a 5th bedroom next to the master! The spacious backyard offers 2 covered patios, a courtyard, a built in BBQ w/breakfast bar & fruit trees! Located on Almost 1/4 Acre Lot on cul-de-sac near Excellent Schools in Hurley District!! Must see!! Listing provided courtesy of Kevin Blain of Keller Williams Realty-Tulare.